You can create luxuriously voluminous curls with this Sultra Bombshell model’s 1.5 inch curling rod in just half the time you normally would spend curling your hair. Not to mention that you can do this using a curling iron clip that will not leave clip lines on your hair! Its ceramic material is manufactured using ThermaTru technology which, as mentioned, mends damaged hair cuticles from previous curling sessions and defends it against excessive heat during curling. Is the Sultra Bombshell the Best Curling Iron? – Click Here to Read Amazon Customer Reviews! 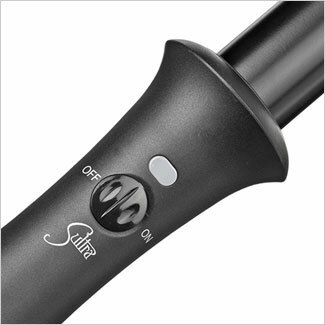 Sultra Bombshell’s new addition to its collection of top notch professional hairstyling tools and products is the new Sultra Bombshell 1.5 Inch curling iron with a much bigger barrel. This classic curling iron continues its traditional clipless feature with a twist: the Sultra Bombshell now has the dual heating ThermaTru Ceramic Technology which is capable of not only generating far-infrared heat that “mends and defends” your hair as you style or curl it. 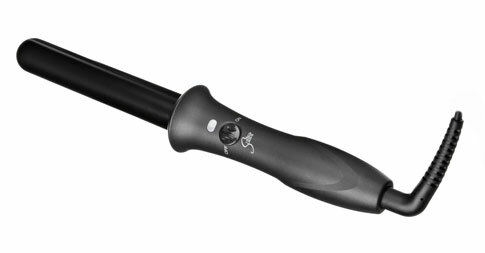 With this new Sultra product, you can create unique curls without clips in half the time it takes a conventional curling iron to do so. The patented ThermaThru ceramic heater can be used on damaged, dry, and color-treated hair. It locks in your curls with a ceramic barrel that can produce up to 360°F of heat that turns out ordinary hair into gorgeous-looking curls. This Sultra iron has a quick heat up feature, with a 9 inch swivel cord that does not become tangled, an automatic shut off mechanism as a safety precaution measure, a lightweight body, and universal voltage capability. 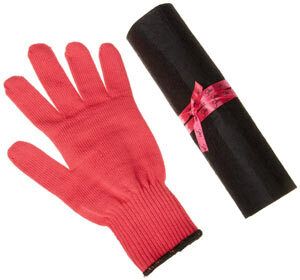 An iron pad and a styling glove come with your purchase of this particular model. Whether your hair is long, wavy, thin, short, dry, thick or straight, the Sultra The Bombshell curling iron will give you a voluminous head of hair with smooth curls and smooth waves or a sleek “blowout” look for those shorter hair strands. Even the process of using this Bombshell model is a no-brainer: just wrap your hair around the barrel, release, and then repeat. This seemingly simple sequence of hair curling can give you sprightly curls from the full, even heat that its barrel emits from one end to another. Because the heat is consistent while in use and distributed evenly throughout the hair, your curls are “locked” in to last longer while they retain their texture and shape. Unsure of how to use The Bombshell? Sultra’s website has excellent video tutorials, including those for using the equally dependable Sultra curling wand, that are incredibly helpful to first-time users. You should also take note of the fact that the two year warranty is given if you register your purchase within a certain number of days after you got it. The price of this particular model may be a little bit more expensive than the other types of Sultra curling wands that they have in their collection. But the expense is well worth it if you consider that this fine piece of hair curling iron is extremely durable and will last longer than you expect, just like the fabulous curls or waves that they can create. 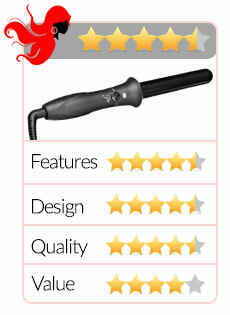 Would you pay anything less for a product that won the 2014 TotalBeauty.com Curling Tool Editors’ Pick Award? We don’t think so. Paying for quality is a long-term investment, and that goes for hairstyling tools, too. With the Sultra Bombshell, you get exactly what you pay for and a whole lot more: quick heat that reduces your hair’s exposure to hot temperature is one and portability is another; you can always bring your Sultra curling iron in your suitcase or duffel bag for an all-important conference or just a weekend getaway in the country. There are several other “pros” that you can benefit from with this particular Bombshell model, not the least of which is its longer-lasting hold on curls. Like its other siblings in the Sultra curling wand line, this newest member of the Bombshell family is a workhorse with excellent performance. Curl today, nope, not gone tomorrow. In fact, it’s curl today and no need to curl the next day! In fact, a considerable number of “cons” had more to do with the purchasing or delivery process than the product itself (this is something you should also be careful about, that’s why you should buy only from reputable online stores like Amazon. The only “drawback” associated with the product pertains to the curls the Bombshell gives. Some customer reviews stated that what they wanted was tight curls like ringlets. These are not what the newest Sultra curling iron was designed for. If these are what you want, get a regular curling iron. Buying this particular Bombshell model should be based on factors such as your hair type, texture, length, and condition. The Sultra The Bombshell 1-Inch Rod Curling Iron is not for those who want Shirley Temple locks; this Bombshell model gives you Sarah Jessica Parker loose waves on a hot summer day. Should you buy the Sultra The Bombshell Rod Curling Iron? It all depends on you and the kind of curls that you want. Since this is not a cheap product, thinking it over before making a decision to buy is highly advisable. Not that you will have regrets about buying this particular Bombshell model because its excellent features are really worth its price. 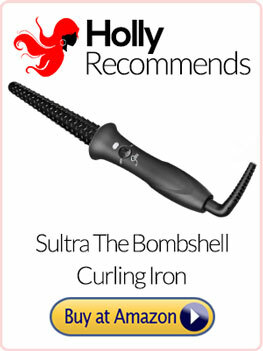 Click Here to Get the Ultimate Curling Iron – Sultra the Bombshell Available Now at Amazon!